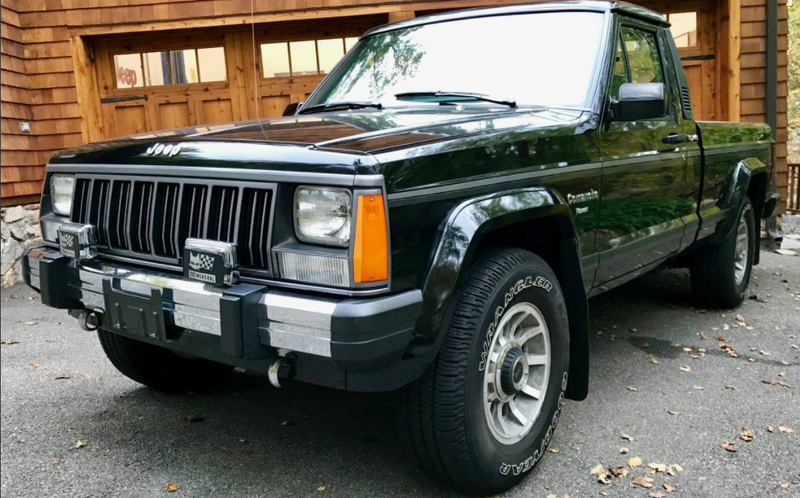 The lovable Jeep Comanche—based on the equally-lovable Jeep Cherokee platform—is a fantastic little truck. But this one for sale on Craigslist, a single-owner short-bed with original paint, a five-speed manual, a 4.0-liter inline-six and only 18,500 on the clock, is truck-o-motive perfection. I need it. While I’ll admit that the price is ridiculous, check out how perfect this interior is. This thing looks like a brand new example of one of the finest semi-unibody pickups ever built. How could I possibly resist this? How could anybody? What&apos;s Your Favorite Dealer Brochure?